Hamigaki: The Art Of Japanese Tooth Brushing Brush Brush Brush! How many times should you brush your teeth a day? That might seem like a common sense question, but your answer may vary depending on how you were raised or even which area of the world you come from. In some places, brushing your teeth once a day might be considered more than enough, but in other places, brushing only once could be considered a disgrace! In Japan, the saying "cleanliness is next to godliness" might be the best way to describe tooth brushing culture. People are generally expected to brush their teeth after every meal, or as many as three times a day. Brushing your teeth may sound simple enough, but every place has their own thoughts on the subject, too. 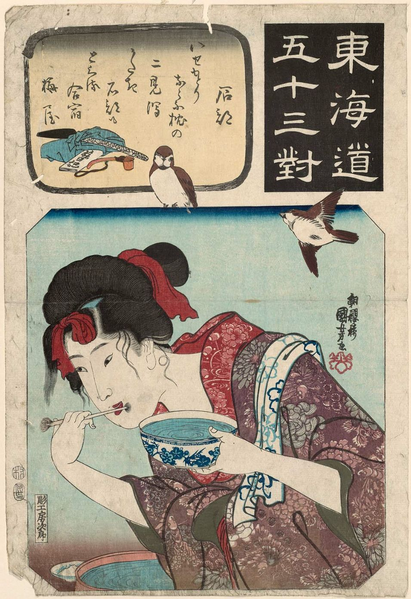 Let's take a look at tooth brushing, or hamigaki, from the Japanese perspective. 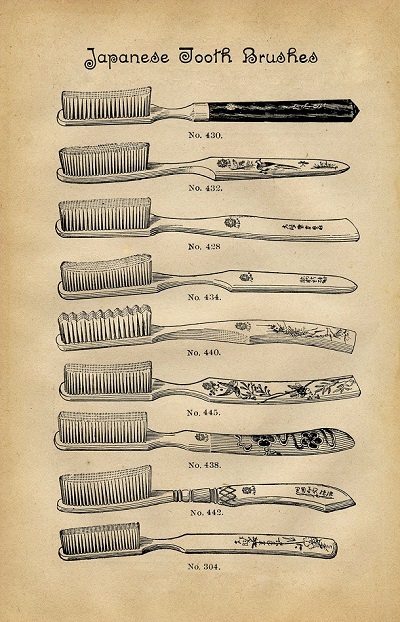 Believe it or not, toothbrushes as we know them today haven't been around forever, but that doesn't mean that no one cleaned their teeth in the past. Before the invention of modern synthetic toothbrushes, people turned to nature for the tools to polish up their pearly whites. In ancient times, the Japanese relied on toothpicks or tassel made from branches with antibacterial qualities to clean their teeth. It's unclear when the Japanese picked up this habit, however, in Japanese Buddhist scriptures there is a story in which Buddha throws a used toothpick to the ground, causing a large tree to sprout forth from the earth. Therefore, toothpicks must have been in use shortly after the introduction of Buddhism to Japan at the latest. 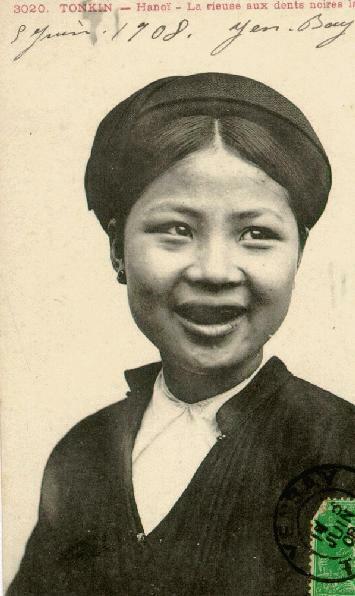 As a side note, another factor that contributed to the maintenance of teeth in Japan was the tradition of "ohaguro," or the blackening of teeth. While this tradition was done primary for reasons of fashion and status, it also indirectly protected one's teeth by forming a protective barrier around them. Usually this was done with a dark-brown concoction made of ferric acetate, made by dissolving iron filings in vinegar. When the solution was combined with vegetable tannins it would turn black and become non-water soluble Source. Oh, and you'd have to apply this once every day or every few days. I wonder how it tasted! Often times a people's values are reflected in the lessons taught to their children, and in the case of tooth brushing in Japan, this is especially apparent. 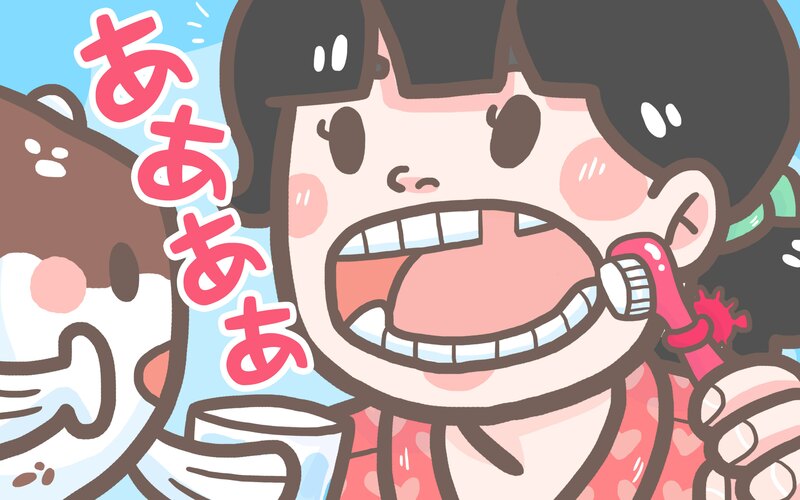 One of the earliest memories many Japanese people share is learning how to brush their teeth with their parents. In fact, tooth brushing is considered a family bonding activity and is done so until a relatively late age. As the ritual goes, children usually try to clean their teeth on their own first. Then, when they are all finished, the child will usually lay their head down on their mother's (or father's) lap where the parent finishes the job, making sure to get all the nooks and crannies. But tooth brushing is not just an activity done between parent and child. 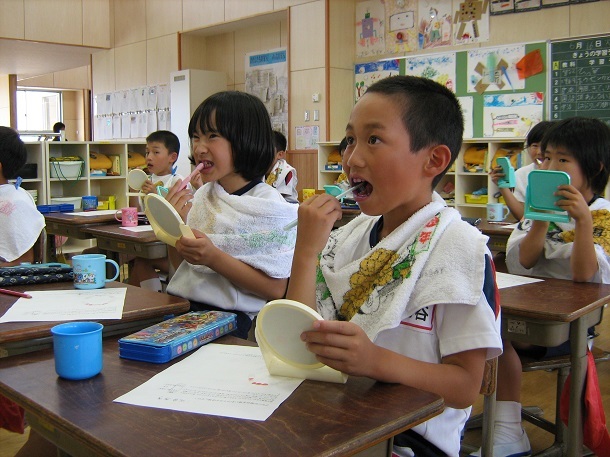 In Japan, children are expected to brush their teeth after every meal – even at school! In fact, Japanese school children are all made to brush their teeth as a group in the classroom every day. 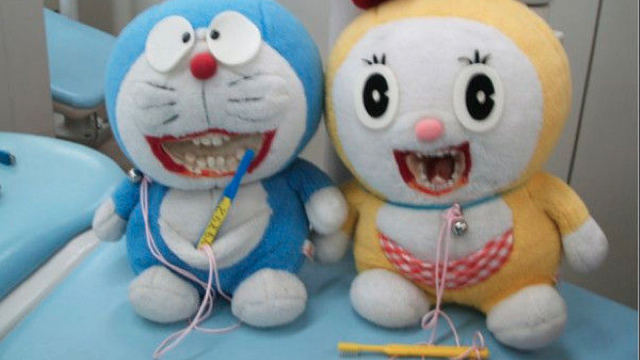 Of course, as you can imagine, keeping the attention of a group of 8 year-olds on a task as mundane as tooth brushing isn't the easiest thing in the world to do, but Japan has a (cute) solution for everything it seems. Over the years, several tooth brushing songs focusing on the fun sound effects of hamigaki have been created to keep kids' attention. This kid loves the tooth brushing song so much, he keeps asking his mom to do it over and over again or else he stops brushing his teeth! In addition to songs, many tooth brushing toys have been created to help demonstrate the correct way to brush your teeth and instill good habits in children's minds. That, or just scare them into doing it. 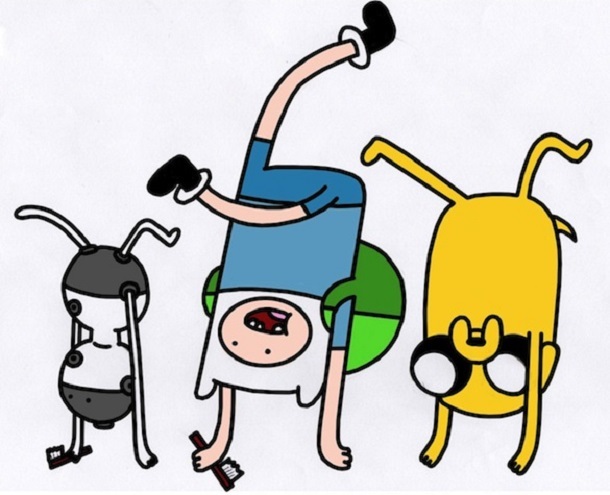 I'm not sure which. Even candy companies have developed their own teeth cleaning toys. Either way, the amount of effort put into teaching kids good tooth brushing habits seems to have good results. According to What Japan Thinks, around 50% of adults brush their teeth after every meal, even if that means brushing in public. To be blunt, from the perspective of someone outside of Japanese culture it can be a bit strange to see your professor brushing his or her teeth in the office if you aren't used to it. So, you're in Japan and you forgot to bring your toothbrush. That, or you're going to be there for a long time and you're going to have to adjust to everyday Japanese culture. Looks like you're going to have to make a trip to the store. However, when you get to the toothbrush aisle you will find yourself confronted with a million products, none of which look familiar to you. Excluding running out the door and not brushing your teeth for a year, what would you do? There are several rumors out there concerning Japanese toiletries, and toothbrushes / toothpaste are not excluded, but here's the truth of the matter. In general, Japanese toothbrushes, or haburashi 歯ブラシ（）, are made much smaller and softer than those in some other countries. Some people have problems with this, but they are made this way to make brushing less harsh on your teeth and gums, and also to make it easier to maneuver the toothbrush. If you happen to prefer more "petite" brushes, you might want to consider ordering one from Japan. 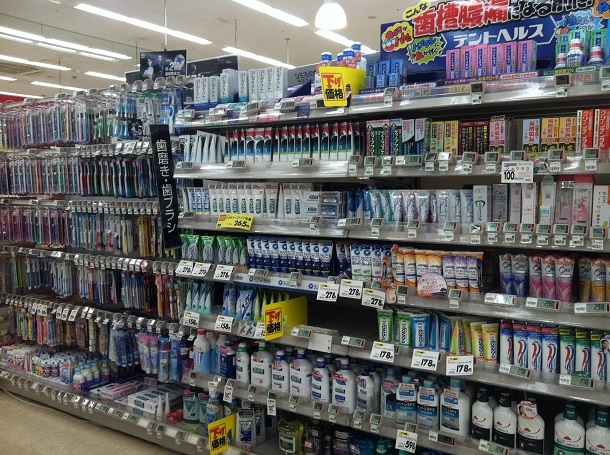 When it comes to toothpaste (also known as hamigaki), there are about a million and a half brands on the shelf, all of which are in Japanese and can be very hard to sort through for those who can't read the language. In addition, many people are under the belief that Japanese toothpaste doesn't contain what could be considered essential ingredients, such as fluoride. After checking the ingredients of a few brands myself, I found that this is partially true. However, some brands do contain fluoride. If you're in Japan and you're looking for a brand of toothpaste that does contain fluoride, I would stick to using Aquafresh. That, or you can look for fluoride (フッ素) in the ingredients. It seems funny to me that you would brush your teeth so many times a day and yet not use fluoride. Surprisingly, it also happens that some Japanese people don't use toothpaste at all. In places where you don't want to make a mess such as school toothpaste is also not used. 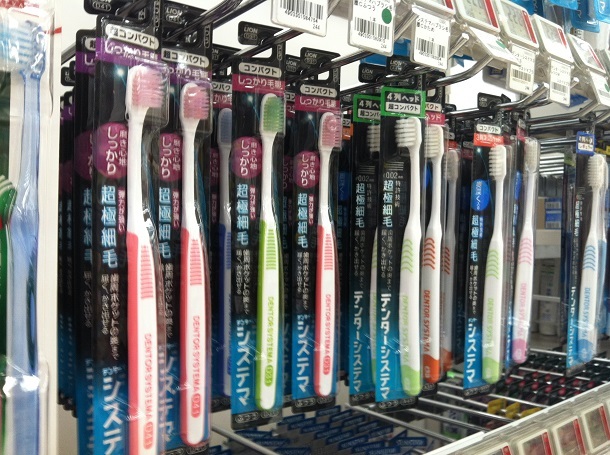 In Japan, teeth related products are made to be a much bigger deal than many other places. In America, I recall seeing some unmemorable ads here and there for toothpaste and toothbrushes, but none of those could compare to the magnitude of Japanese advertising campaigns in this field. 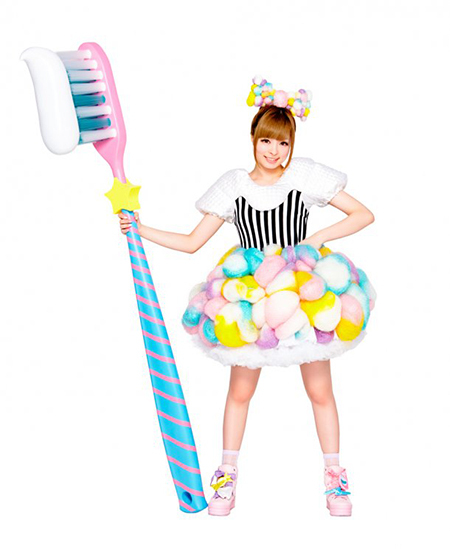 Recently, world renown J-pop artist Kyary Pamyu Pamyu signed on to be the spokesperson of Ora2 toothpaste. She will be advertising the product in countries such as Singapore and Thailand in addition to Japan, making this her first appearance in an ad campaign outside of her home country. 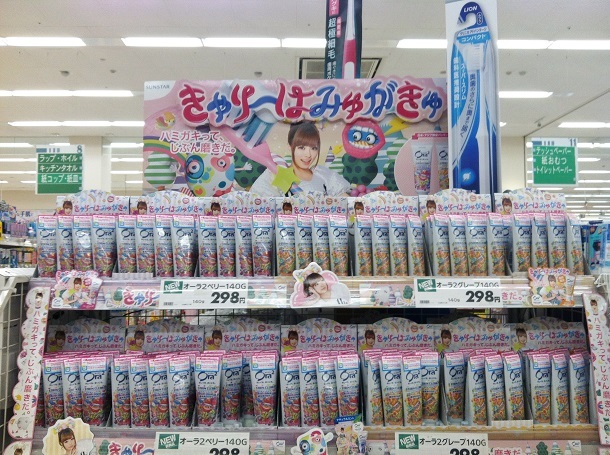 With this toothpaste, Kyary Pamyu Pamyu can take the kimo right out of your kimo-kawaii. Personally, I find this campaign makes a statement about the role of oral health in Japanese society because I simply couldn't imagine someone like Lady Gaga advertising Crest toothpaste. Besides, I really wouldn't like raw meat flavored toothpaste. So what is in the future of hamigaki? About a year ago scientists in Japan created a microscopically thin film that coats the teeth and prevents tooth decay and can even make the teeth appear whiter. Although this product isn't available yet, it will be in the next couple of years. Perhaps brushing your teeth will become unnecessary in the future? Well, maybe not, but it's a nice thought.